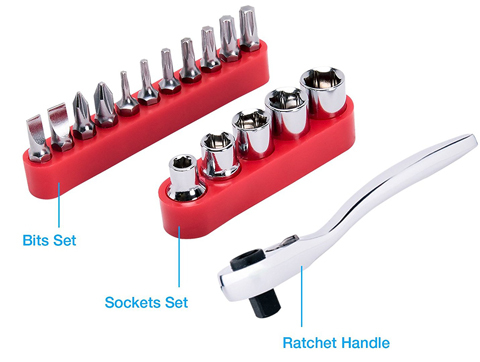 The mini ratchet is a 7-inch long hand tool. 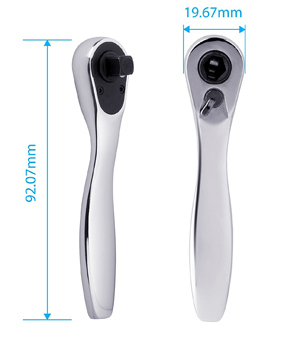 It has a low profile, and features corrosion-resistant fully-polished chrome plated finish for long-lasting durability. 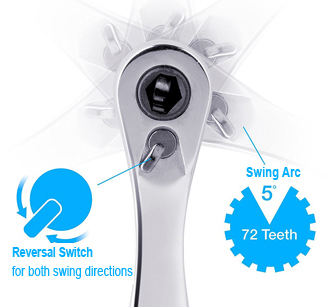 The reverse switch is designed for convenient one hand operation. You can easily switch between two swing directions with a simply click. 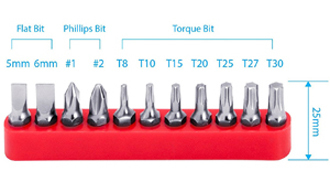 Both socket driver and bit driver are at 48 FT/LBS of Torque. 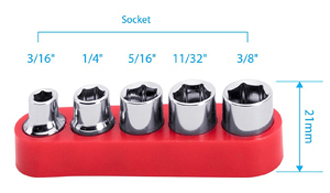 All tools are demagnetized to prevent systems and magnetic media from damage.